How do we describe this extraordinary home? 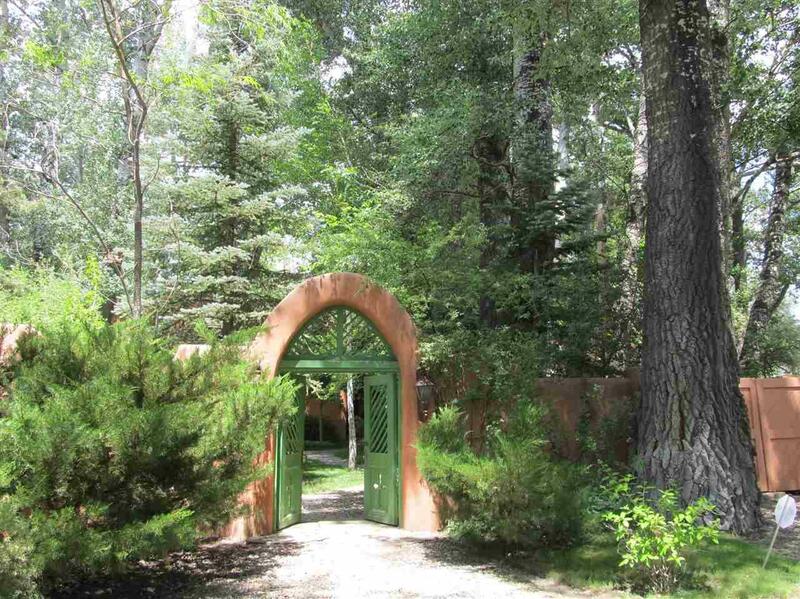 The unique setting, a short distance from Taos Plaza, is easily one of the most beautiful in Taos, with lush landscaping, including mature aspen, pine, apple and other trees plus cascading water fountain with small pond. 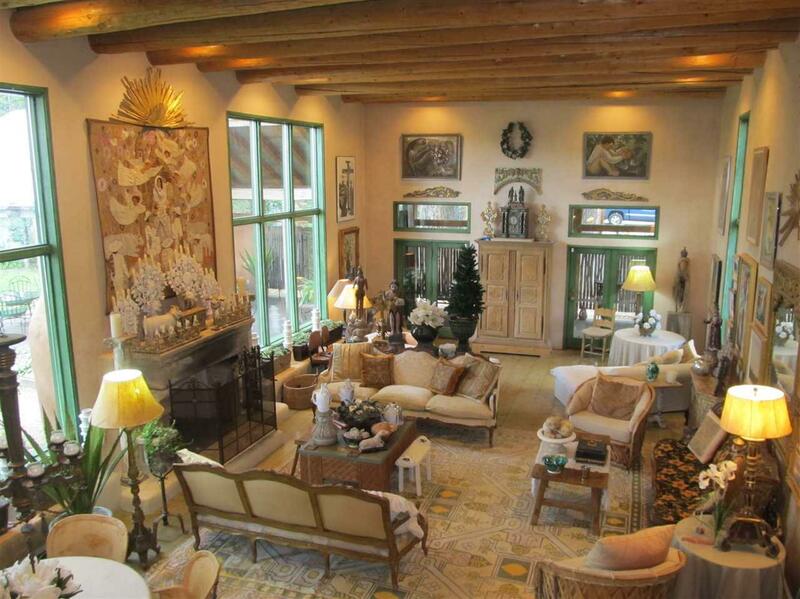 This property is so special it has been featured in New Mexico Magazine and has been the venue for numerous fundraisers; however, with 3 bedrooms, 3 baths and 3192 sq ft (as reported by County Assessor), it is ideally suited for a primary or secondary family residence, for entertaining, or to showcase your private art collection. The home features one of the most dramatic living rooms you will ever see, with a two-story high viga ceiling, open hearth fireplace and multiple windows that bring the natural light and backyard views indoors. The master bedroom is privately situated upstairs with bath and large outdoor balcony. On the main level down is the living room, dining room and spacious kitchen, with a bedroom suite and private patio on one side of the home plus a separate third small bedroom and bath. 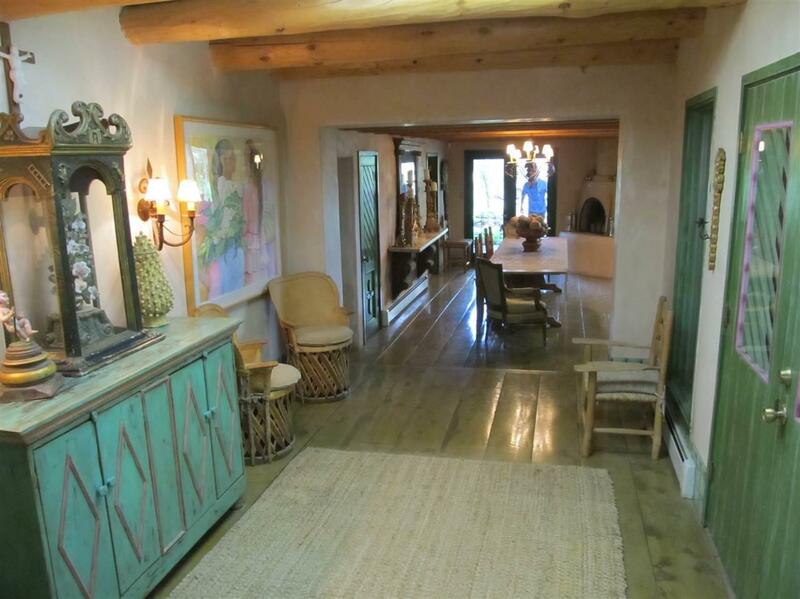 The home style is evocative of an historic adobe, with plank floors, kiva fireplaces, carved doors and similar appointments but tasteful renovations, such as tile floors, custom kitchen cabinets and modern appliances, make the home complete. Not sure of the age of the original adobe but the 2x6 addition was constructed during the 1990s. 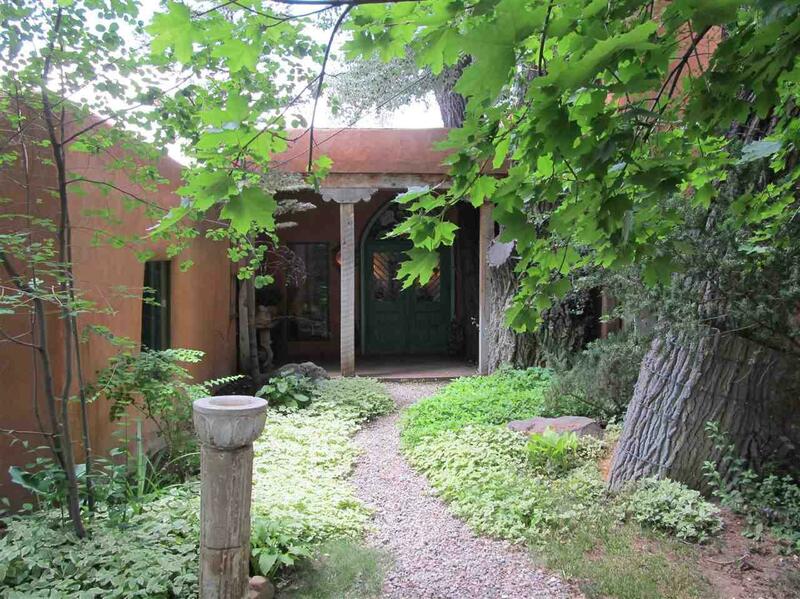 A one-of-a-kind property that must be seen to appreciate all it has to offer. All light chandeliers are not included.